The large western portion of Cornelis van Eesteren's General Extension Plan (AUP) of 1934 was built after the Second World War. 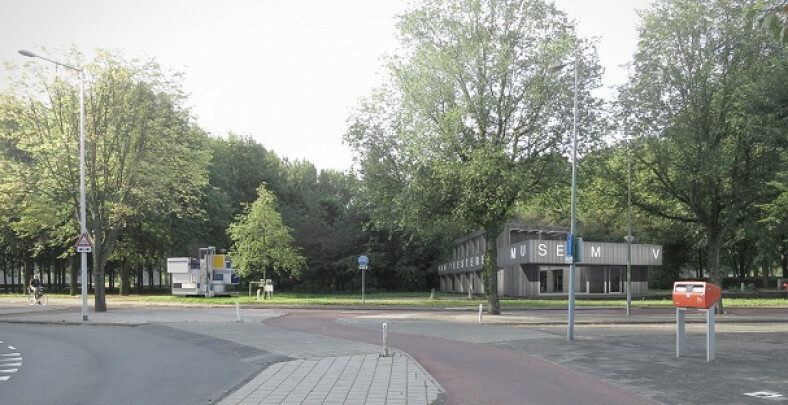 In 2017, the Van Eesteren Museum, which was originally housed in a school building at Burgemeester de Vlugtlaan 125, opened a new branch on the shore of Sloterplas at the place where Van Eesteren himself had planned a pavilion back in 1939. A simple timber structure with a wealth of glass, it combines exhibition space on the upper floor with refreshments and other services below. It may include a model of the Maison d’Artiste at scale 1:5, the experimental design by Van Eesteren and Van Doesburg from 1923.